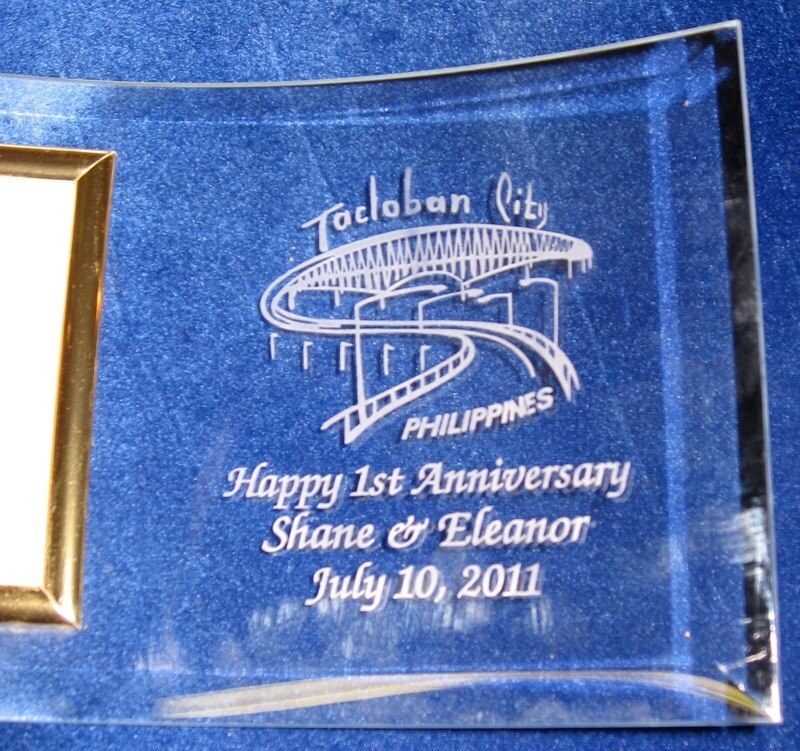 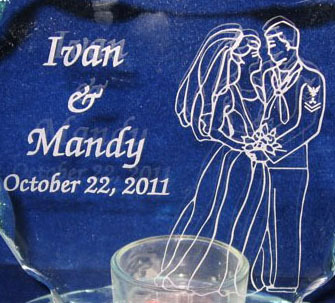 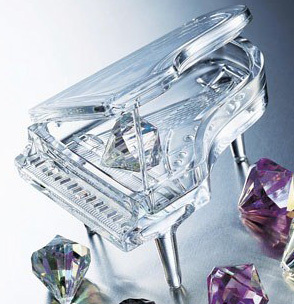 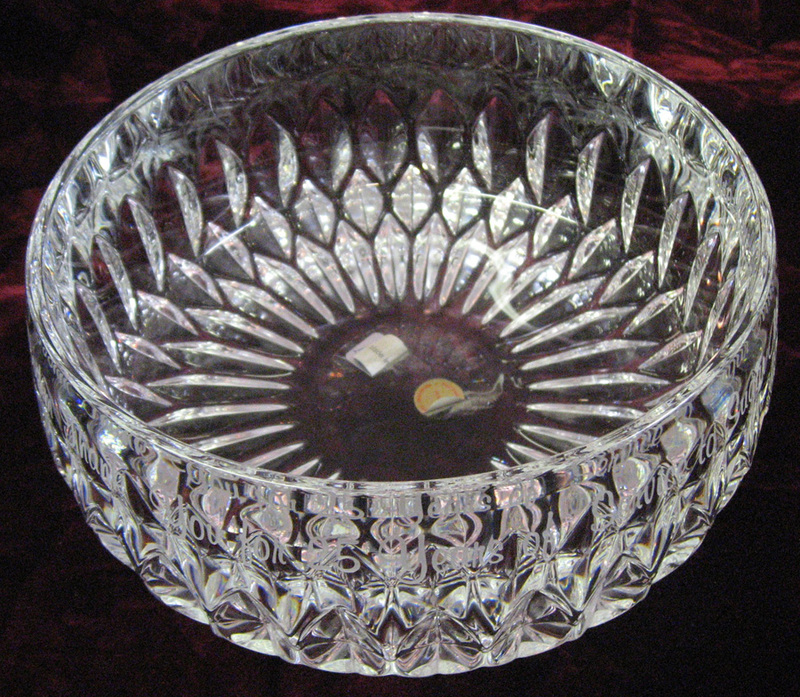 We have a large selection of engravable crystal items that can be personalized for your special occasion. 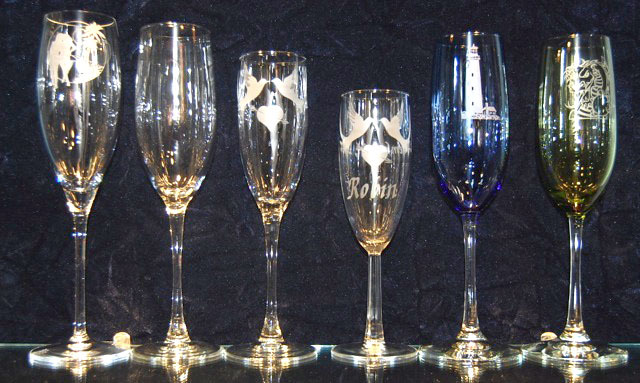 These are just a few of the items that we have for you to choose from. 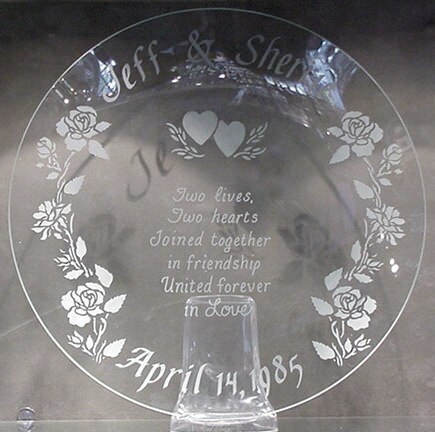 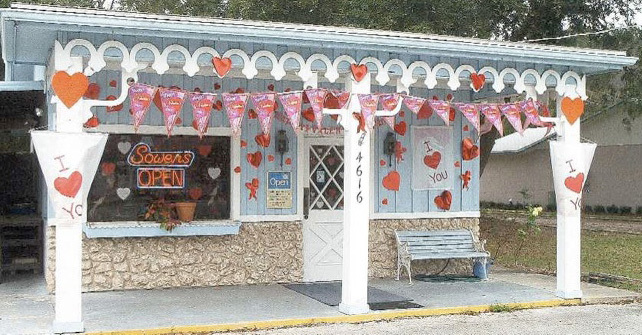 I really love the engravable heart shaped crystal votive, and engraving “On the wings of Love” just adds to this. 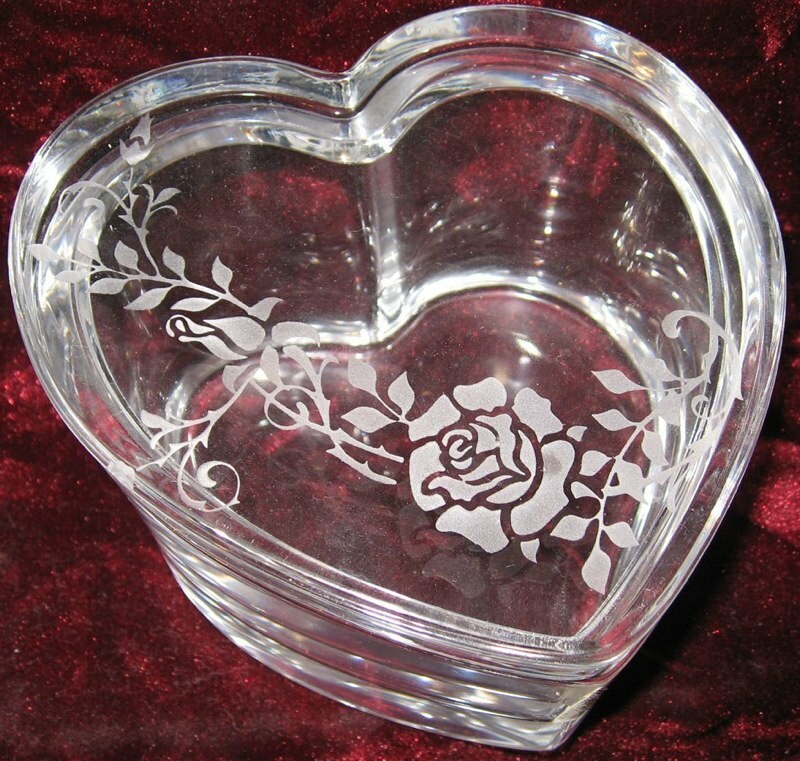 Both the heart shaped crystal vase and heart shaped crystal jewelry box are beautiful. 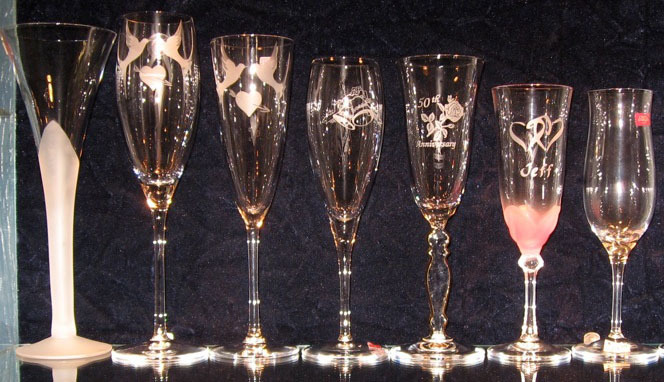 With so many beautiful items it can be really hard to make a choice. 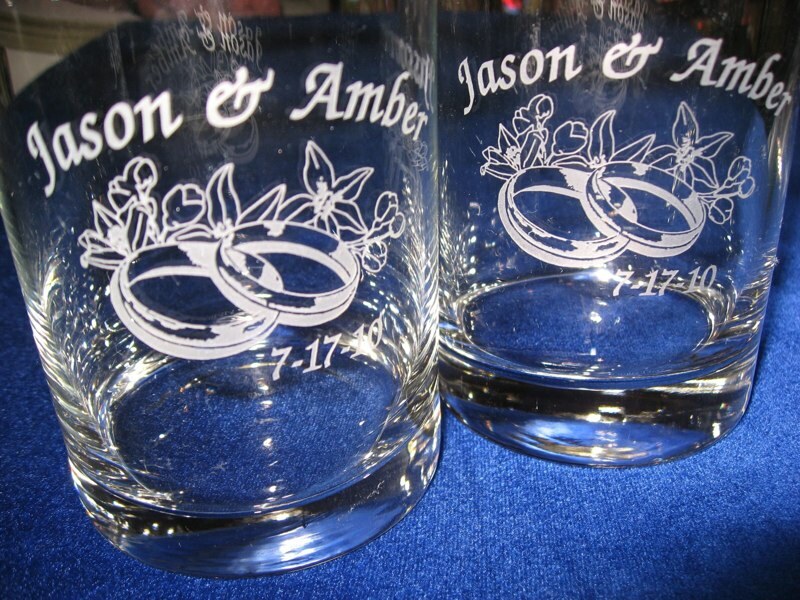 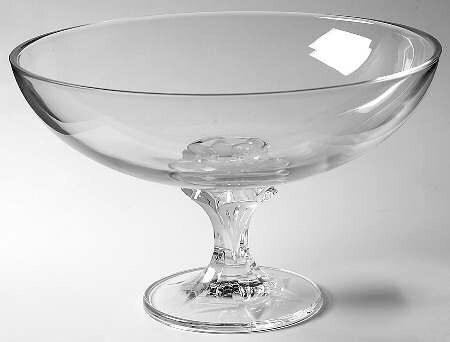 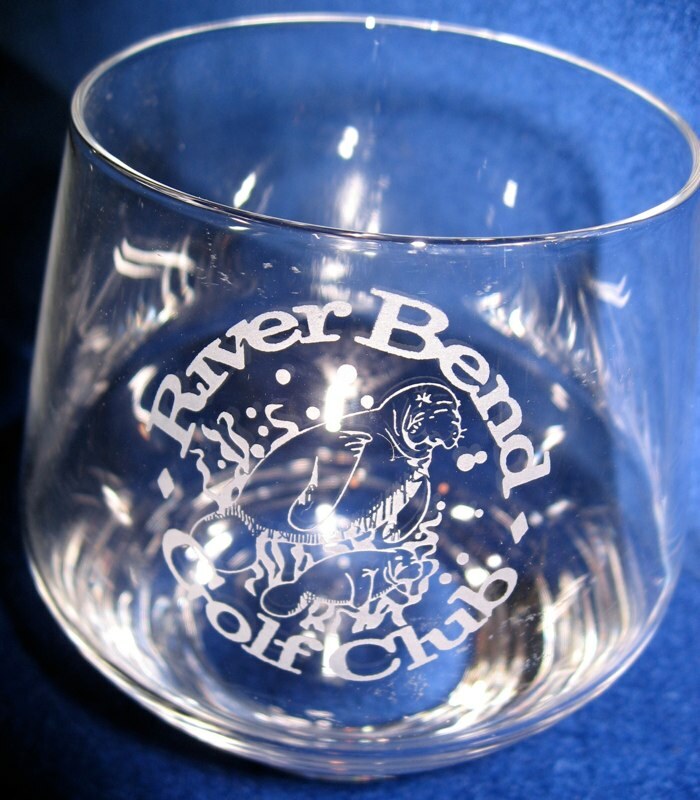 We also offer numerous champagne glasses that can be custom engraved with designs that can be added, for a small additional charge, along with text, to our personalized engraved glass gifts. 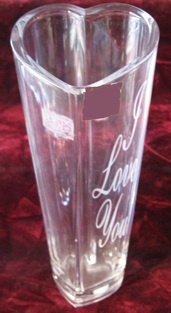 These prices include the glass the design and a 6 letter name. 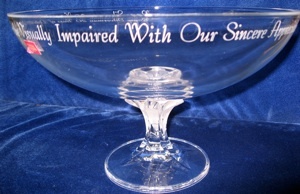 The Inspiration for the frame is one the left. 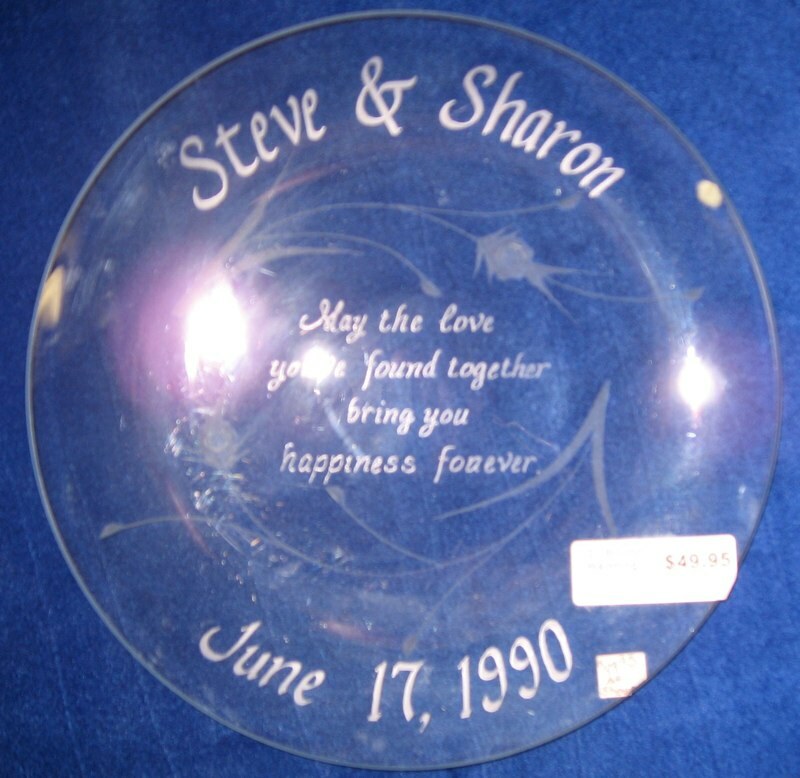 Style # - Personalized Engraved 12 inch round Wedding Platter. 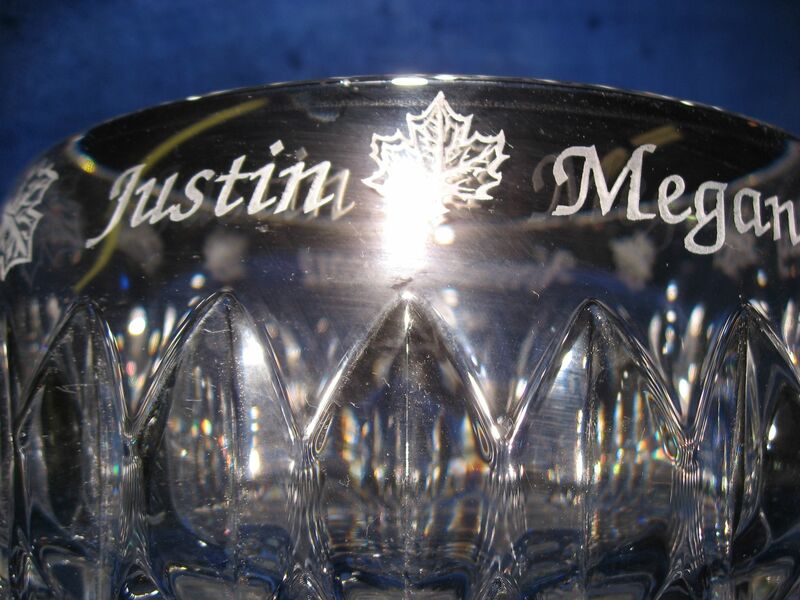 This style is $64.95 engraved as shown. 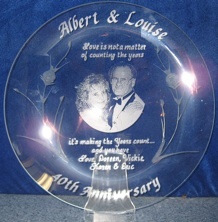 Personalized Engraved 40th Anniversary 12 inch round platter engraved with a photo is $94.95 engraved as shown. 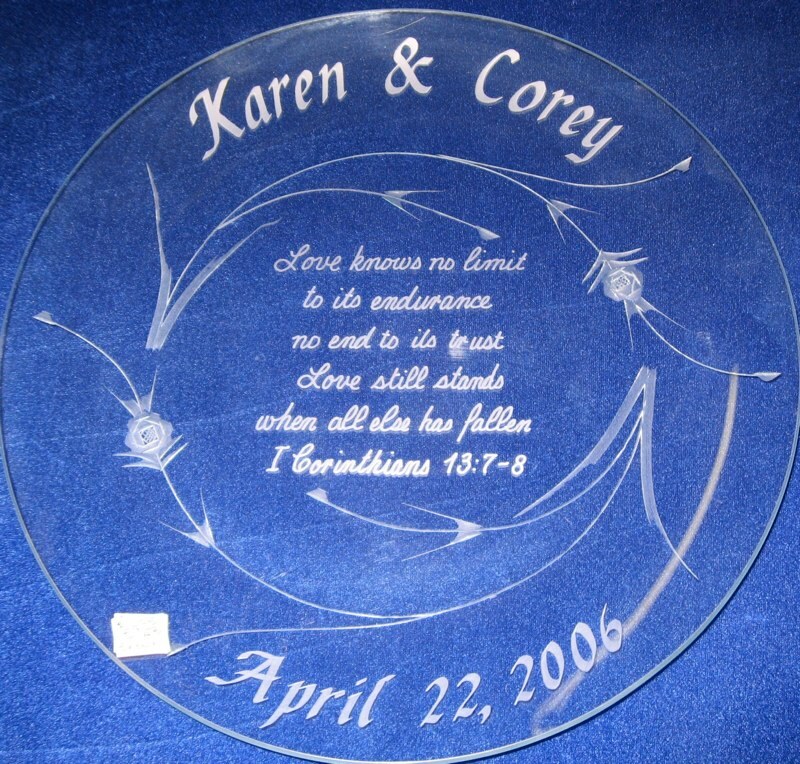 Style #1 - Personalized Engraved 12 inch round Wedding Platter. 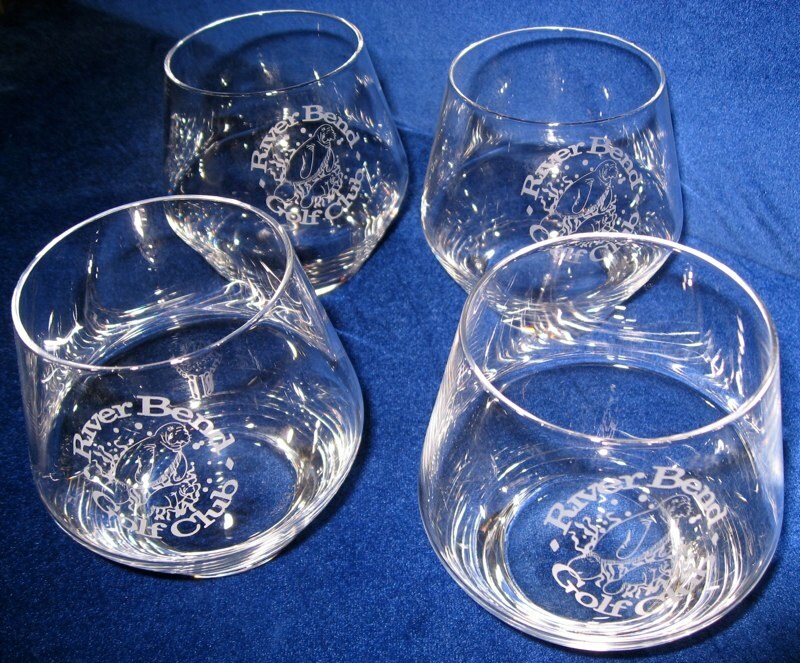 These are $64.95 engraved as shown. 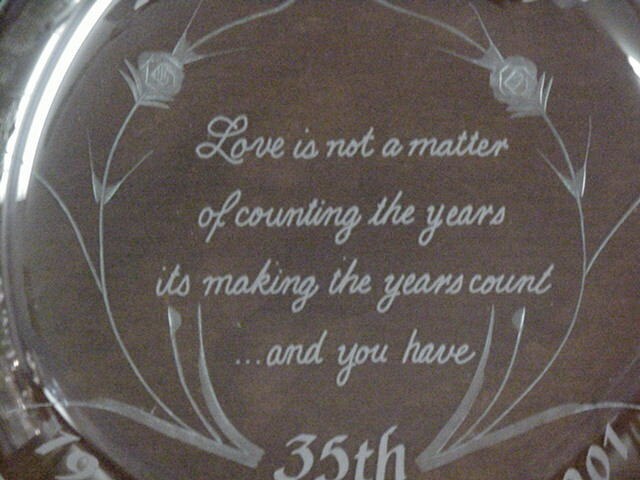 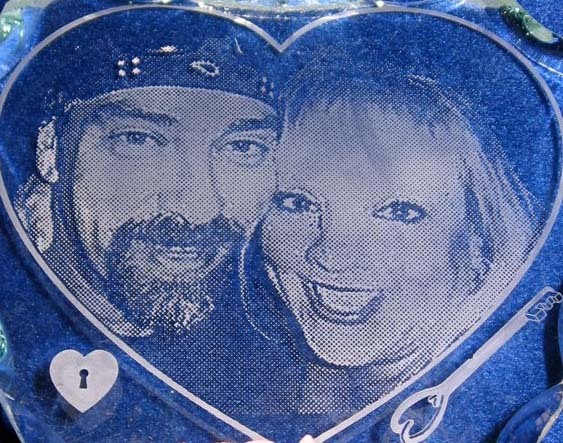 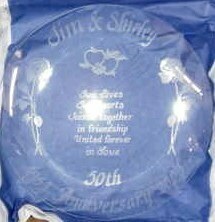 This is the closeup of the Personalized Engraved 12 inch round Anniversary Platter. 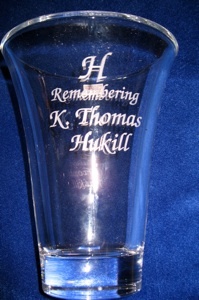 These are $49.95 engraved as shown. 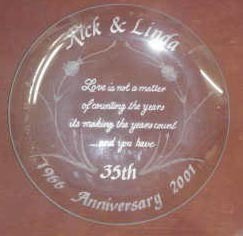 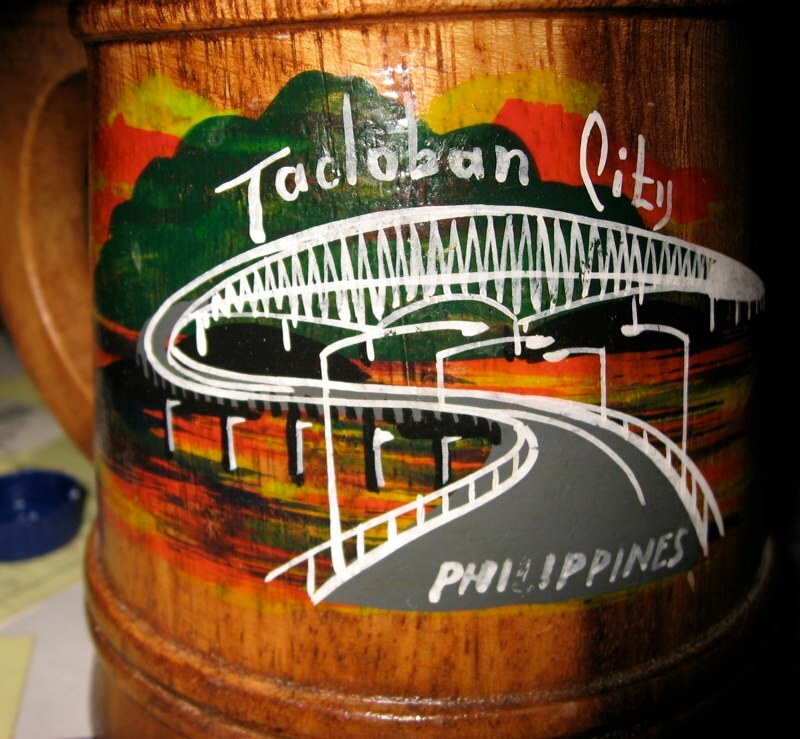 We also offer numerous designs that can be added, for a small additional charge, along with text, to our personalized engraved glass gifts. 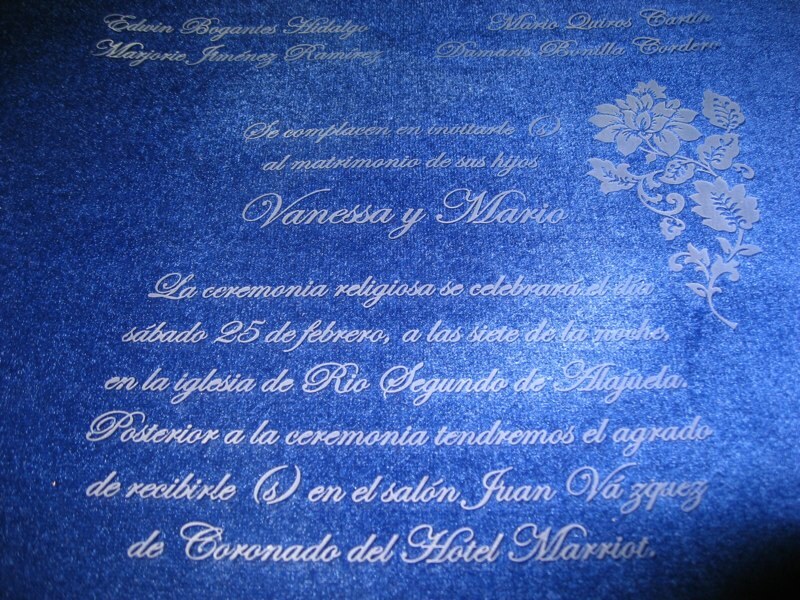 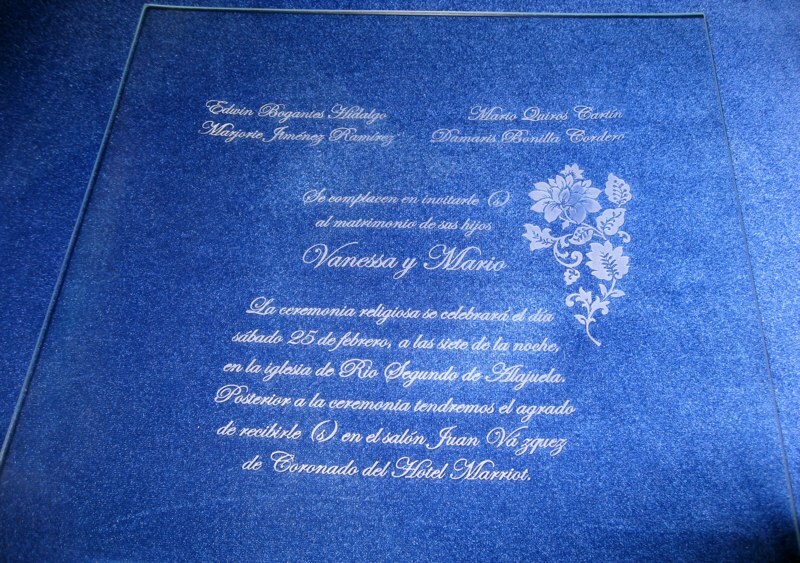 Personalized Engraved 12 inch square Wedding Platter engraved in Spanish. 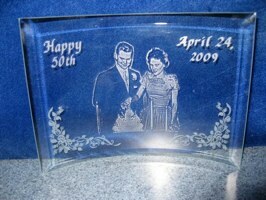 These are $95.95 engraved as shown.